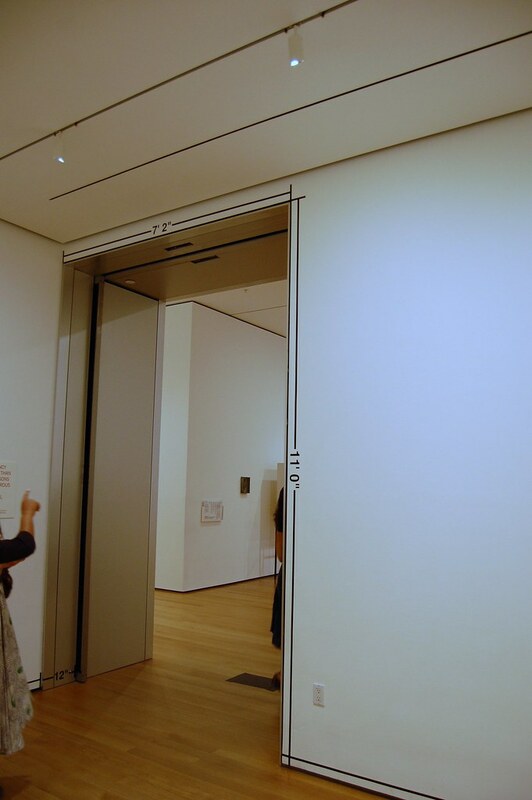 The entryway to the MoMA's 4th floor permanent collection appeared to be abandoned today. Where had Mario Merz gone? 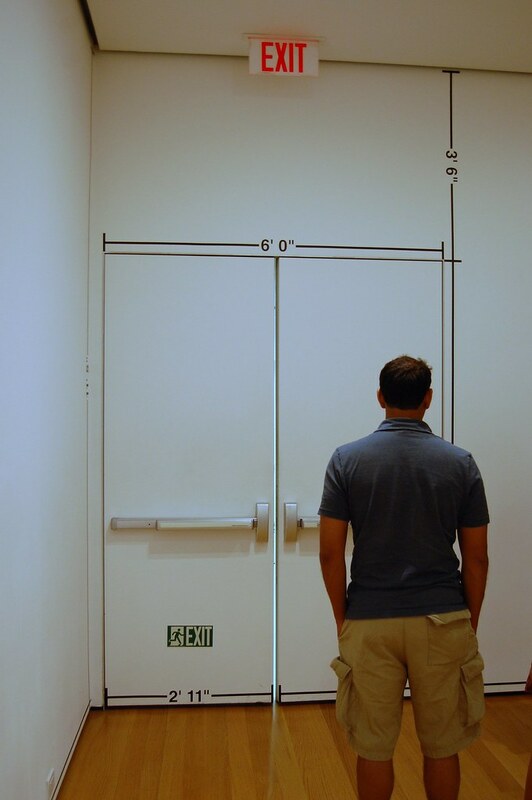 Walking inside, though, I found a series of measurements noting the height and width of the room and its doors, as well as a helpful label: it was Mel Bochner's 1969 Measurement Room! 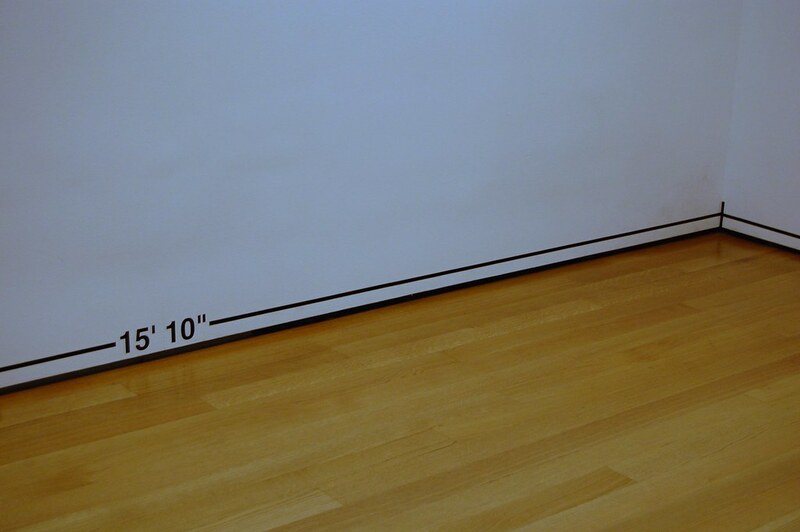 The piece is an open system that adapts to the space in which it is installed, a perfect complement to Dan Graham's Poem Schema (1966), which also works as an open system, measuring its own medium. Printed in a fair number of art magazines through the late 1960's, the content of the piece is generated by the very characteristics of its presentation, listing the paper, font features, word types, and so forth that went into its creation. It is on display at his Whitney retrospective (and included below). Self-reflexive, text-based conceptualism is pretty hot right now. This is the first in a series of irregular posts of combinations of closely-related works of contemporary art, inspired by MAN's juxtapositions and Jen Bekman's pairings. I've always imagined that the Bochner piece would be interesting in the main atrium where the Song Dong is currently installed. Kind of an anti-Broken Obelisk, which was there for so long. re: the Dan Graham, Tino Seghal did a very similar project for the book "Artworks Perform" (edited, of course, by Jens Hoffman) in which the text indexed, in a sort of concrete poetry, the material and economic costs of its own production.